I woke up this morning at around 4:30am from excitement. You would have thought we were going to Disney Land. Sesame Place is the first amusement park we've gone to as a family. I'd even been playing Sesame Street daily for BabyCakes the last few weeks hoping she would begin to recognize the characters and songs. My excitement turned to disappointment after I checked the weather. Not only was it supposed to be just a cool 65 degrees but the forecast called for thunderstorms and hail! After contemplation we decided to still head to the park, bathing suits on, and hoped for the best. After-all we'd already taken the day off work and the Groupon I purchased for tickets expires at the end of this month. Also we knew the park has a Sunny Day Guarantee (if you are in the park for an hour while it's raining you get free tickets to return). When we arrived the weather wasn't looking bad at all. It was warm enough for some water play so we spent time in the Teeny Tiny Tidal Wave, Big Bird's Rambling River, and Ernie's Waterworks. BabyCakes LOVES the water. She squealed happily and enjoyed getting splashed. She also loved the freedom of wandering around the park. I purchased a baby leash but I didn't need to use it. The temperature began to drop so we decided to change back into our warmer clothes so we could enjoy some of the dry rides, but the weather had other plans. What started as a sprinkle turned into a hail-mixed torrential downpour quickly. We decided it would be a good idea to go catch one of the shows and get under cover. On the way to the show we ran into Abby Cadabby and we were able to get pictures with her before we headed to the The Magic of Art Show. Babycakes enjoyed it. I could tell because she was tapping her feet and clapping along. See that halo of rain around our feet!? After the show was over it was still raining very heavily. They weren't running any of the rides because of the weather so we started our expedition to the car. We got SOAKED with rain, but it was so fun. We stopped at the shop near the exit to grab some dry Sesame Street t-shirts and sweat shirts to change into then made a final very wet dash to our car. Even though we didn't get to go on any of the dry rides we had such a great time. Dodging the rain and getting soaked made it even more of an adventure. Our first amusement park trip is in the books. 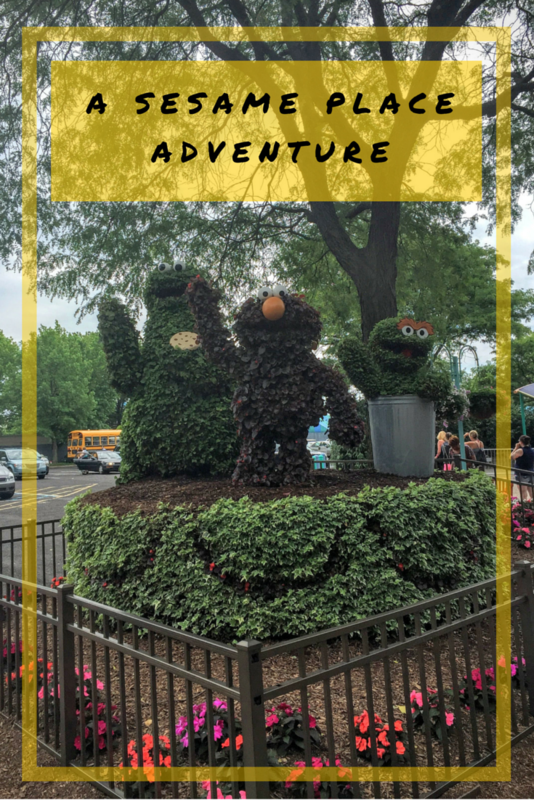 I can't wait to take Charlie to Sesame Place- we visited there a lot as kids. So glad it was still a good experience, minus the weather! Looks like you had a great time! My kids love it there. That happened to us with the weather one time too. They used to give out rainy day passes if it rained the day you were there you could go back another day. Glad you had a fun adventure! aww looks like you guys had a ton of fun regardless of the weather! I'll have to take my daughter there one day for sure !